Rome was very much a male dominated society; so much so that in the Roman Republic a man could legally kill his wife or daughter if they questioned his authority. Women were also kept out of positions of power. They were not allowed to be senators, governors, lawyers, judges or any of the other official positions involved in running the Roman Empire. Women were also not allowed to vote in elections. Although it was extremely difficult, some women overcame the many obstacles put in their way and managed to obtain positions of influence. However, success usually resulted in a great deal of male hostility. This is illustrated by the way successful women are described by Roman historians. It is worth remembering that virtually everything we know about Roman women is seen through the eyes of men. Probably the most influential woman in the Roman Empire was Livia. She had strong opinions about politics and after she married Emperor Augustus she was in a position to influence the way the empire was run. Some of the letters that the couple wrote to each other have survived, and they show the important role Livia played in shaping the Roman Empire. Livia also managed to arrange for Tiberius, her son by an earlier marriage, to become emperor on the death of Augustus. Livia continued to exert power and after being criticised for taking control of the efforts to deal with a serious fire in Rome, she was forced into exile. Agrippina the Younger, the wife of Emperor Claudius, was another woman who had a considerable influence over political decisions. After her husband's death she unofficially ruled the empire as her son Nero was too young and inexperienced to do so. 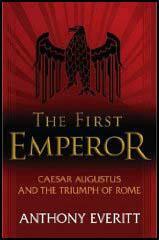 Even when Nero was older, Agrippina still played an important role in running the empire. Nero resented her power and eventually had her murdered. Cornelia Africana, the mother of Tiberius Gracchus and Gaius Gracchus, was another important figure in Roman history. She is said to have deliberately educated her two sons to be sympathetic to the plight of the poor. Even after her two sons had been murdered for their attempts to improve conditions for the plebeians, Cornelia continued to play an influential role in Roman politics. Although denied voting rights, women were active in trying to persuade the government to adopt certain policies. For example, women marched on the Senate to insist that the government negotiate with Hannibal over the release of 8,000 Roman prisoners captured during the Punic War. Women were also successful in business. Excavations at Pompeii have revealed details of Eumachia's very successful business making bricks. Eumachia made so much money that she was able to pay for several public buildings in Pompeii. Another businesswoman, Melania, who lived in the 5th century AD, owned large farms in Italy, Africa, Spain, Gaul, Sicily and Britain. The size of her business is illustrated by the fact that she owned 24,000 slaves and had a yearly income of 12,000,000 sesterces. Trajan, a very successful military commander, became emperor in AD 98. As Trajan spent most of his time in office fighting in foreign wars, his wife Pompeia Plotina played an important role in running the empire. When Plotina became empress she is reported to have told the Roman people as she entered her palace: "I wish to be the same sort of woman when I leave as I am on entering." Plotina was aware of how the previous emperors had been corrupted by the tremendous power they held and worked hard to prevent this happening to Trajan. Pompeia Plotina, who had no children of her own, had grown very fond of Hadrian and he was a great help to her while her husband was away. When Trajan died in AD 117 he left a letter nominating Hadrian as Rome's next emperor. Many senators were against Hadrian holding this position. They claimed that Plotina had forged the letter in an attempt to keep herself in power. They also objected to a man with a foreign accent ruling the empire. Women were also very active in the early days of the Christian movement. They hoped that Jesus Christ's views on equality would lead to changes in men's attitudes towards women. However, once the Christian Church became established, it soon became clear that the writings of Christians such as Paul of Tarsus would be used to justify male dominance. In the later stages of the empire women were educated in schools. Although not encouraged in the same way as boys were, some girls managed to obtain a good education. Some went on to become teachers. Probably the most important of these was Hypatia, who taught philosophy, geometry, astronomy and algebra at Alexandria University. Hypatia also invented the astrolabe (an instrument that enabled the position of the stars, planets and the sun to be measured accurately), the planisphere (an apparatus for distilling water) and a hydroscope (an instrument for measuring the specific gravity of liquids). Hypatia's success created hostility from men. She was also a pagan living in an empire that had now been converted to Christianity. In AD 415 a mob of Christians dragged her through the streets of Alexandria before torturing her to death. (1) Cato the Elder, speech in the Roman Senate in 195 BC. (2) In 42 BC a large group of women of Rome held a public meeting at the Forum. The main speech was made by Hortensia. Why should we pay taxes when we do not share in the offices, honours, military commands, nor, in short, the government, for which you men fight between yourselves, with such harmful results? Still more annoying is the woman who as soon as she sits down to dinner, talks about poets and poetry... professors, lawyers... can't get a word in... Wives shouldn't try to be public speakers... I myself can't stand a woman who can quote the rules of grammar... as if men cared about such things. If she has to correct somebody, let her correct her girl friends and leave her husband alone. Women should keep quiet in church... If they want to find out anything they should ask their husbands at home... A man ought not to wear anything on his head in church, for he is the image of God and reflects God's glory... For man was not made from woman, but woman from man; and man was not created for women, but woman for man. That is why she ought to wear something upon her head to symbolise her subjection. Men, especially writing in books, claim that women are fickle and unreliable, weak-hearted and lacking stamina... Read the histories of the emperors and the accounts of their lives and you will find that a very small number of the total... were good, upright, and constant... I assure you that for every good emperor, you will find ten very bad ones. 1. Roman women were not allowed to hold positions of power in the Roman Empire. What kind of reasons would Roman men have put forward for excluding women from these posts? Select a source from this unit that indicates that the author would have disagreed with the reasons put forward by Roman men. Explain why you think this writer developed these opinions. 2. Describe how attitudes toward the education of women changed during the Roman Empire. Would you describe these changes as "rapid" or "gradual"? 3. 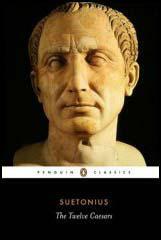 Nearly all the written primary sources that we have on the Roman Empire were produced by men. For hundreds of years, all the history books were also written by men. Christine de Pisari s book (source 5) is the earliest history book in existence that was written by a woman. How would the lack of sources produced by women affect the history books that have been written? Select passages from the sources to illustrate your answer. 4. Study sources 1 and 3. Explain how these sources show how people's ideas and attitudes are often related to their circumstances.